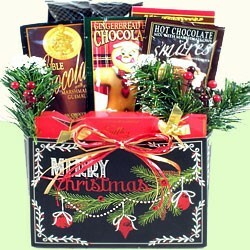 A holiday best seller and customer favorite since 07'. 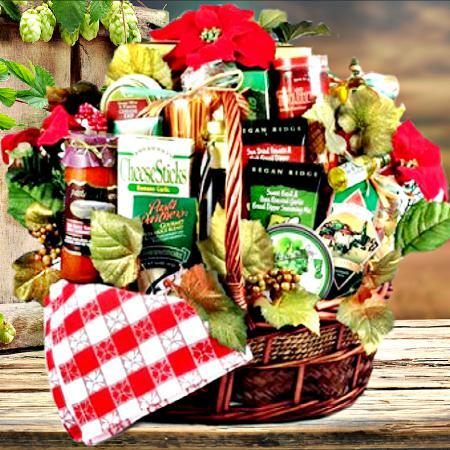 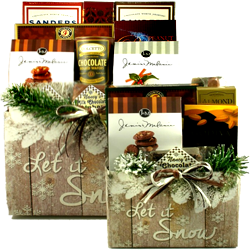 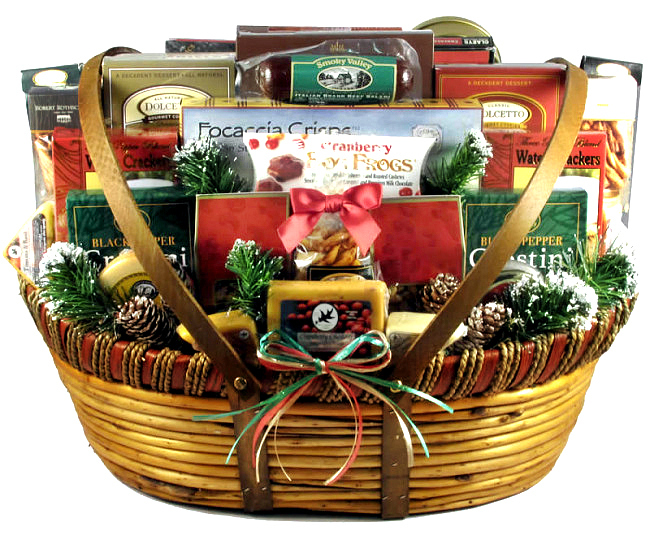 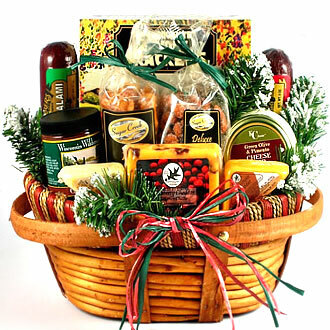 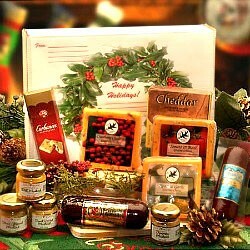 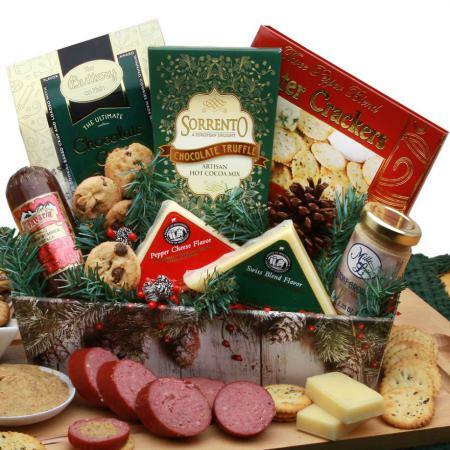 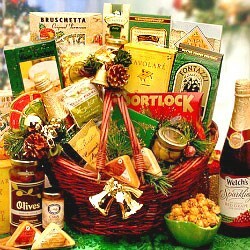 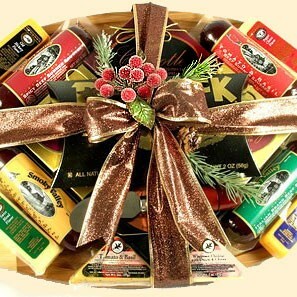 Cheese and sausage gift baskets for Christmas make beautiful business holiday baskets for clients, friends, and families. 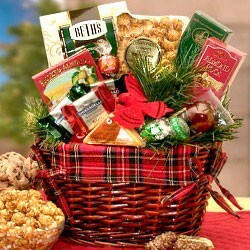 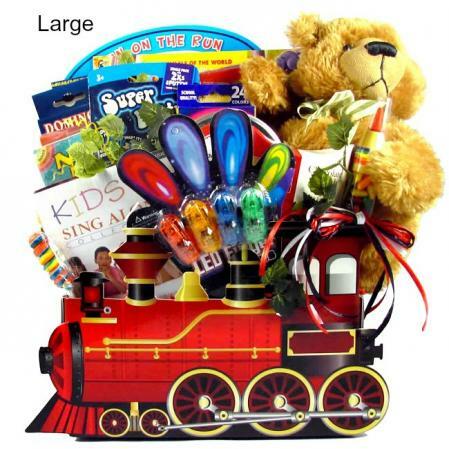 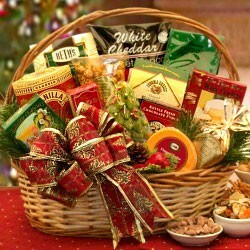 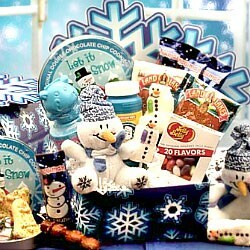 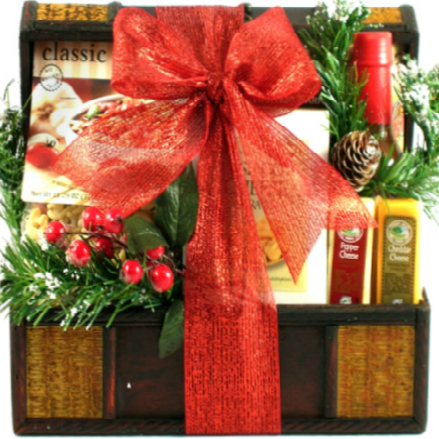 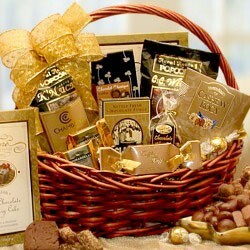 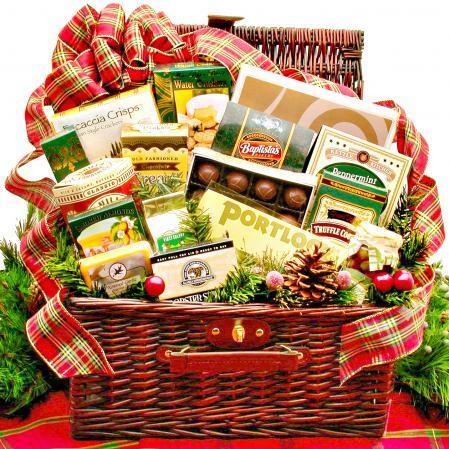 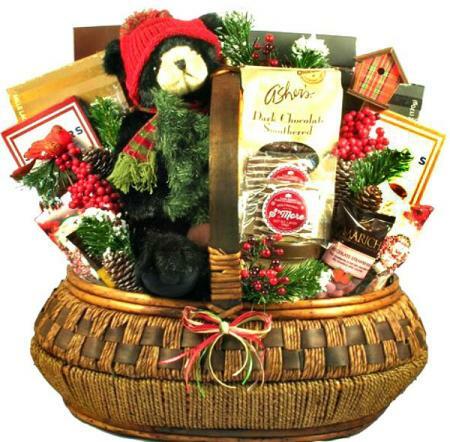 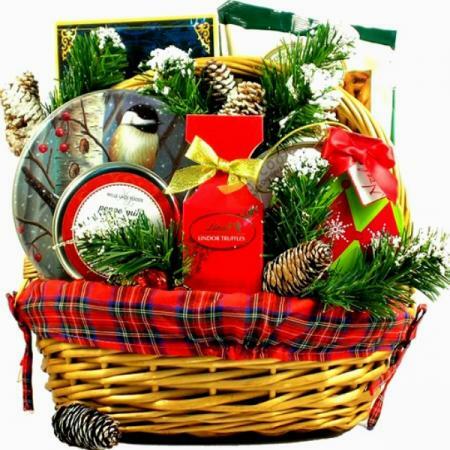 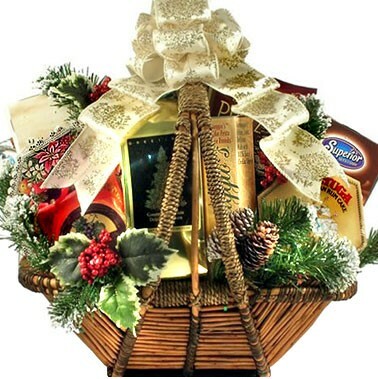 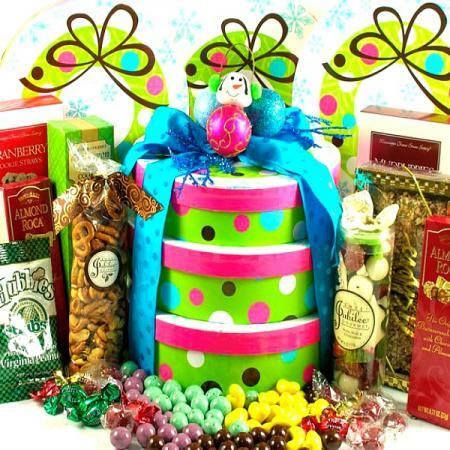 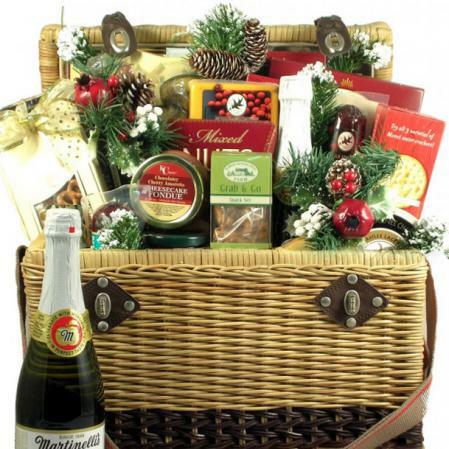 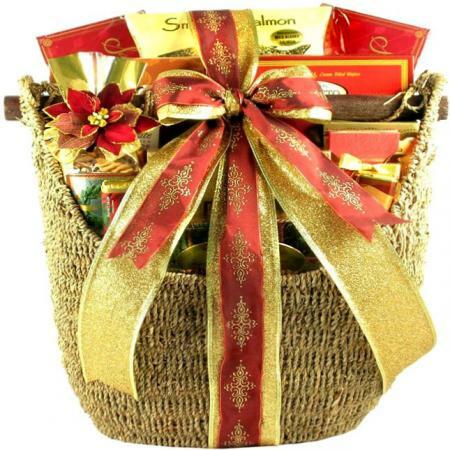 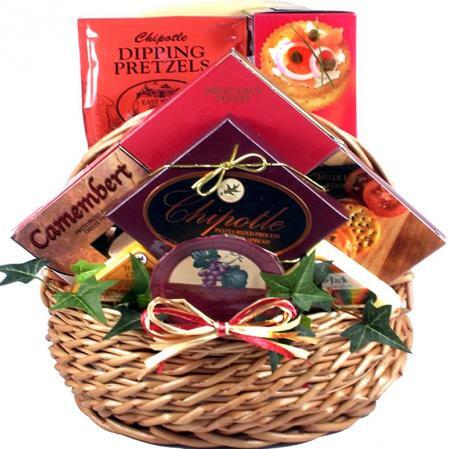 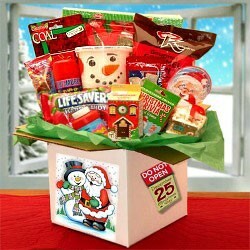 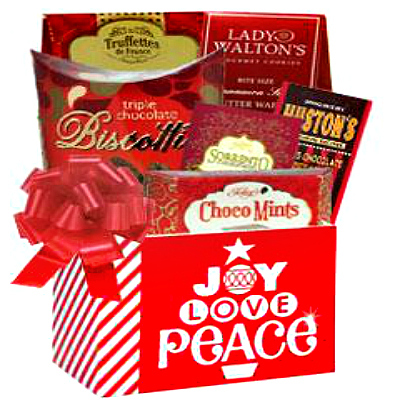 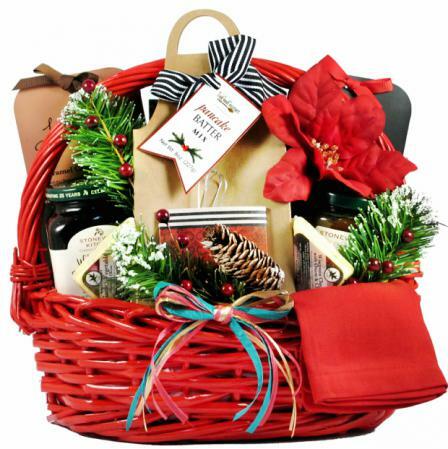 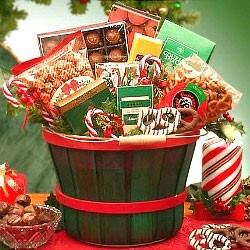 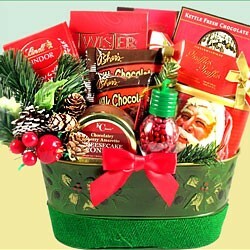 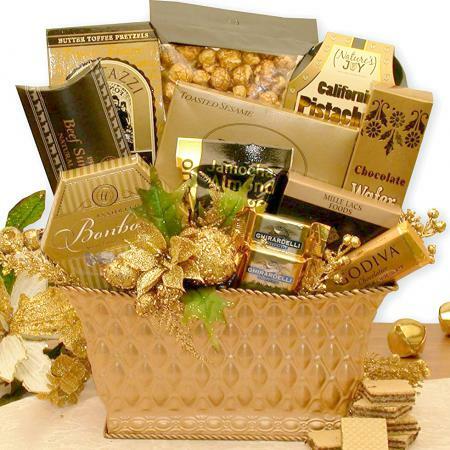 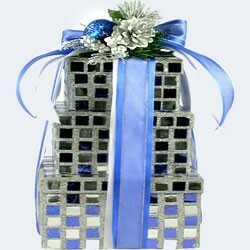 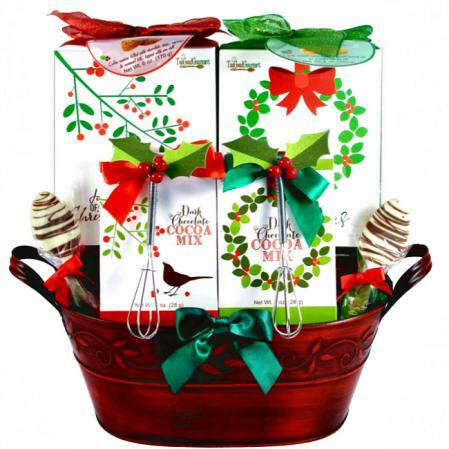 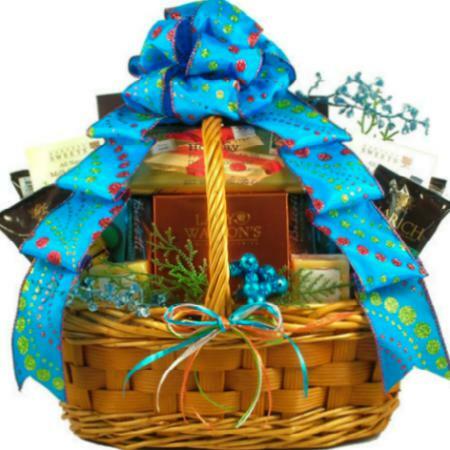 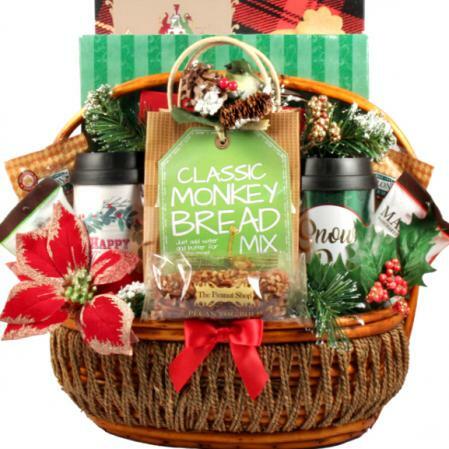 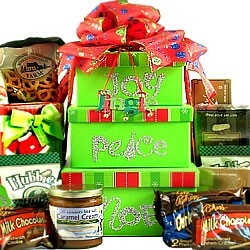 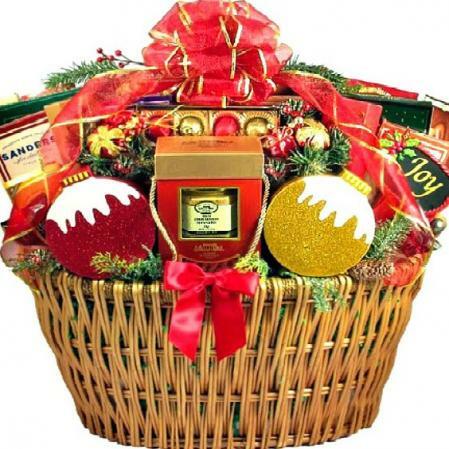 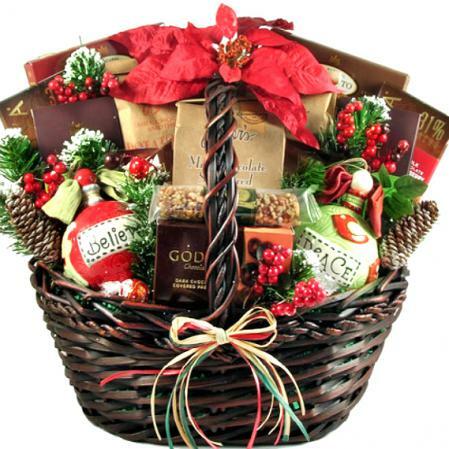 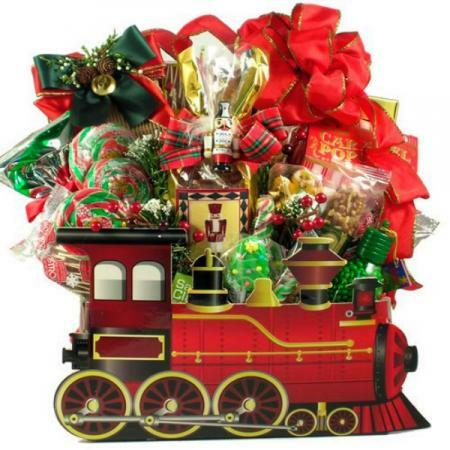 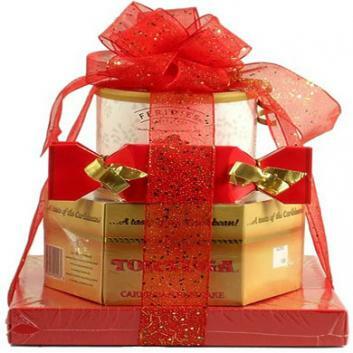 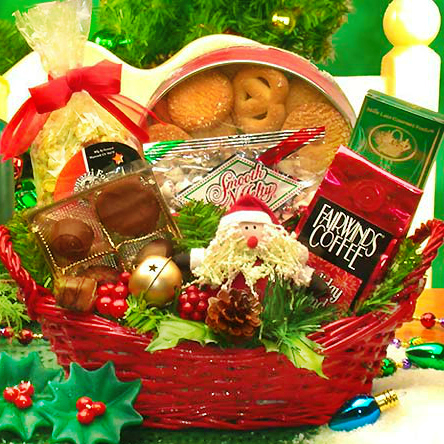 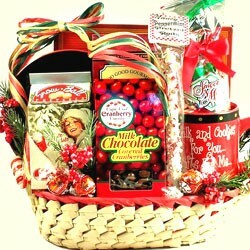 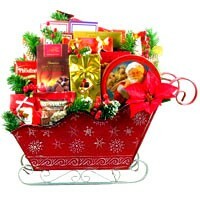 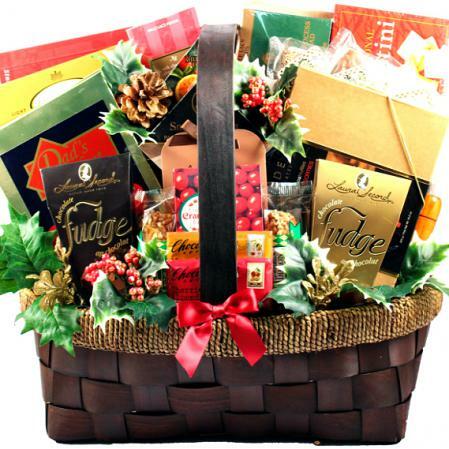 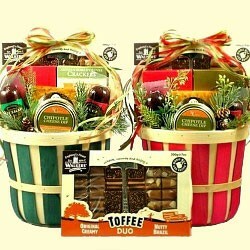 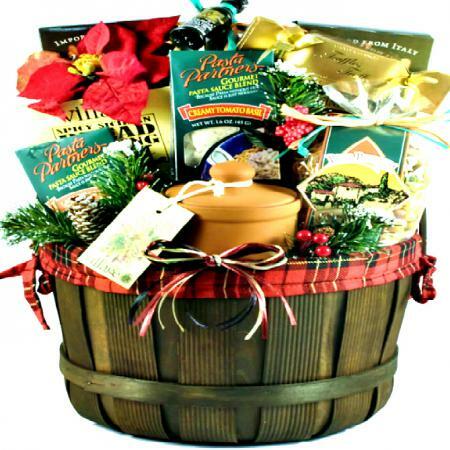 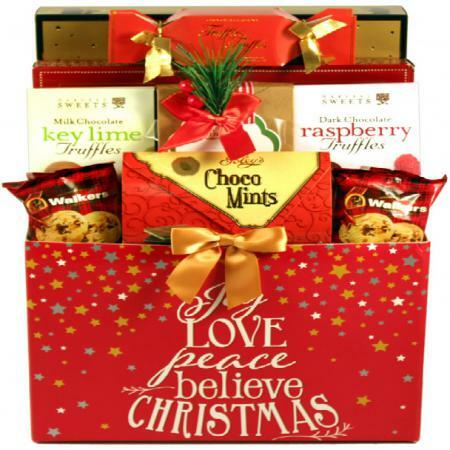 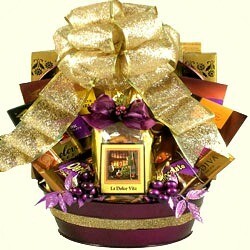 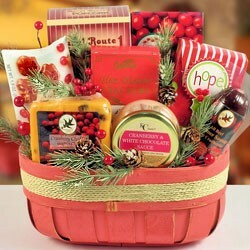 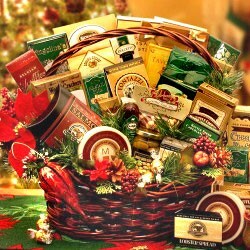 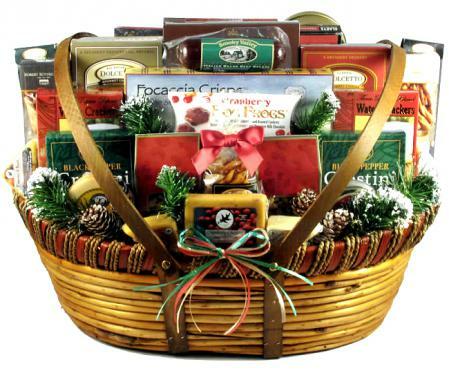 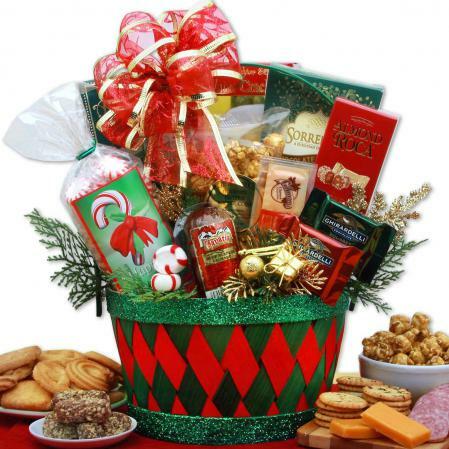 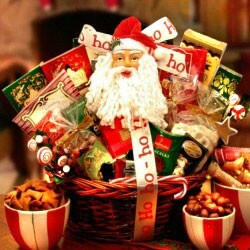 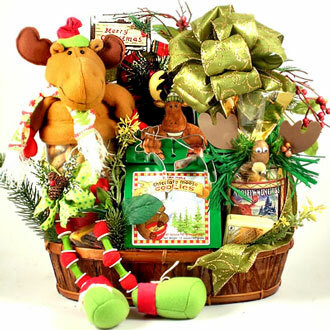 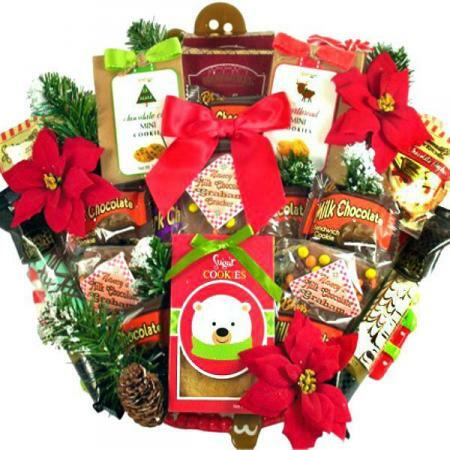 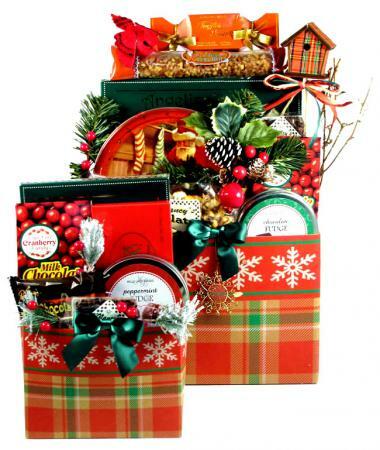 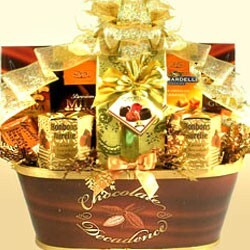 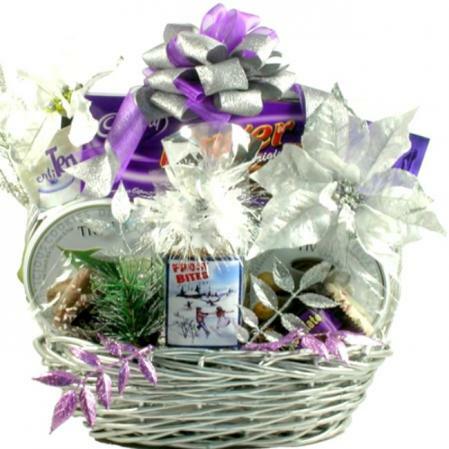 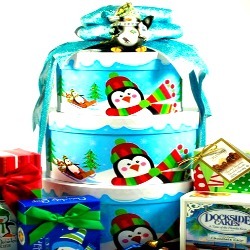 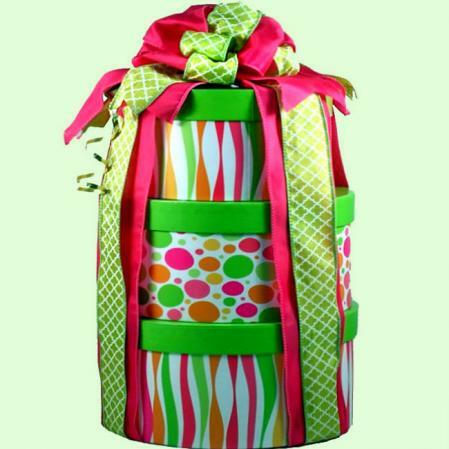 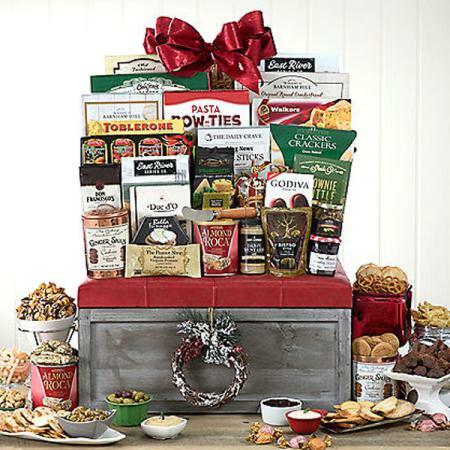 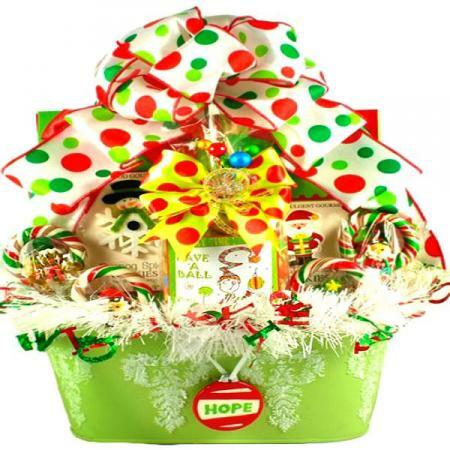 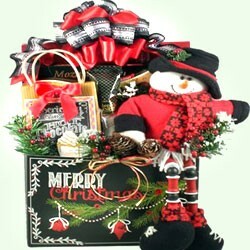 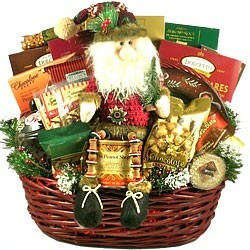 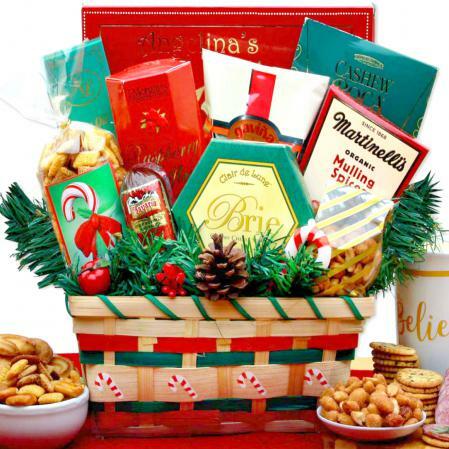 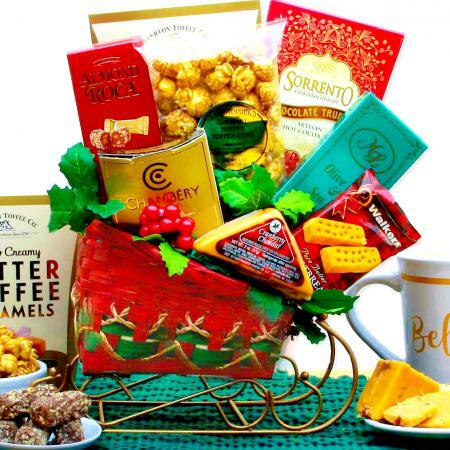 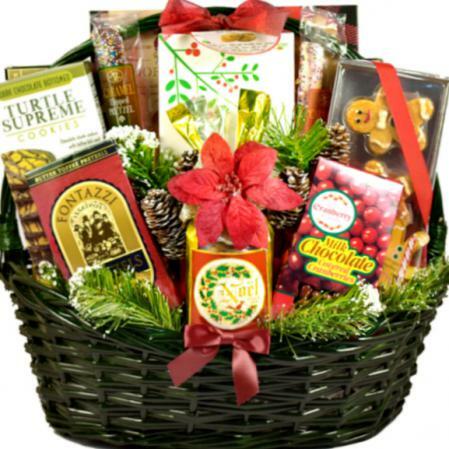 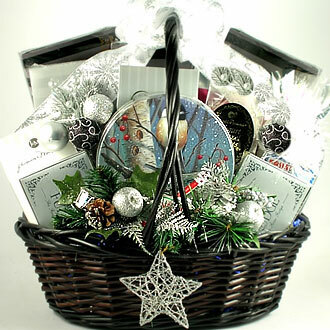 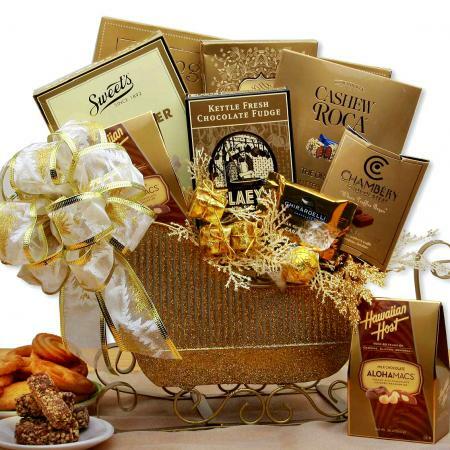 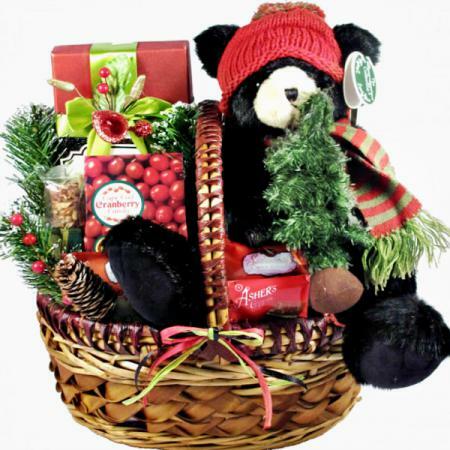 This extra large version of our Best Selling holiday basket is as big as a holiday gift basket gets. 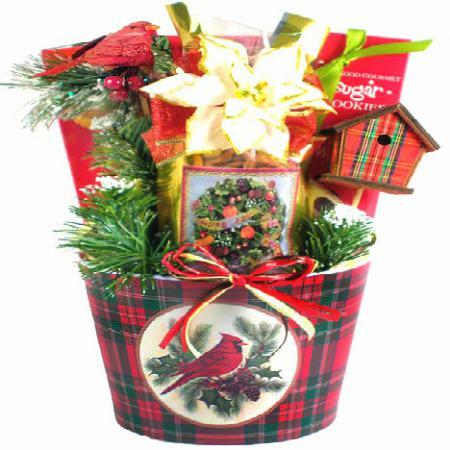 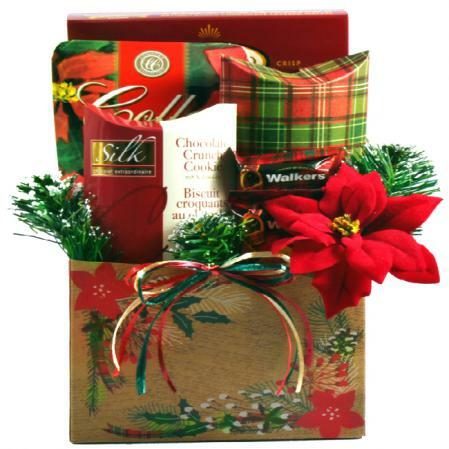 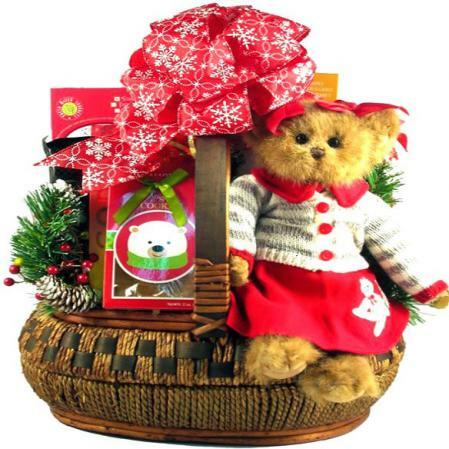 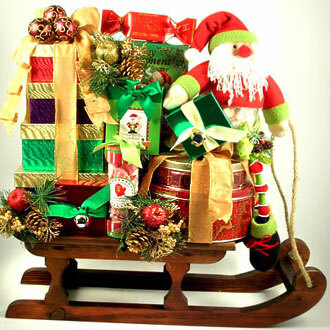 When it's all done, we tastefully decorate it with holiday pine and carefully wrap it with a basket bag and a large bow.